Are you looking for wedding hair inspiration or just like looking at pretty hair? Continue to scroll down if that's the case. One of the favourite parts of my job as a hairdresser, must be styling wedding hair. To have the honour to be part of someone's most special day. 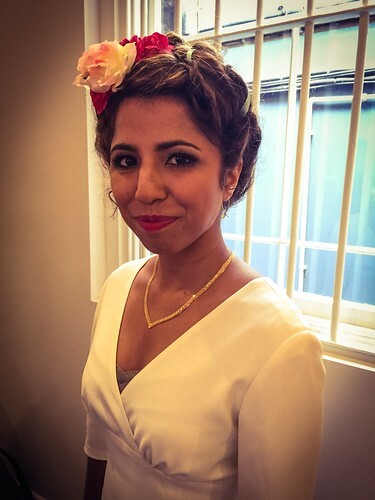 Making someone look and feel beautiful on their big day. 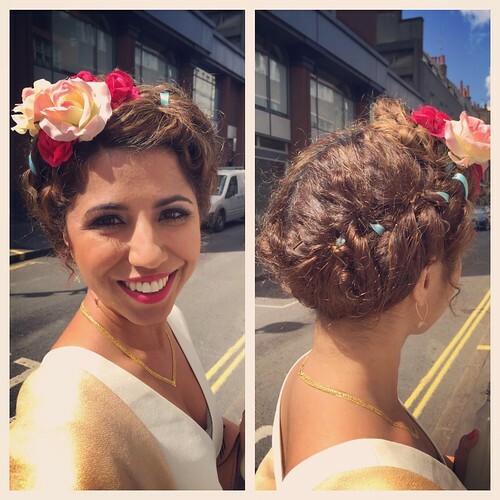 Yesterday I had the opportunity to style the hair for my friend Salma for her wedding. 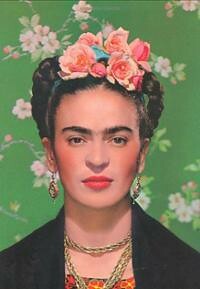 The bride's inspiration came from the artist Frida Kahlo. Her signature look was her braided hair with coloured fabric and flowers on top. 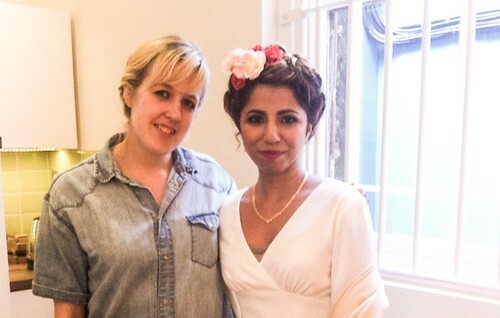 I also did the hair of my friend Mumtaz, the brides cousin. 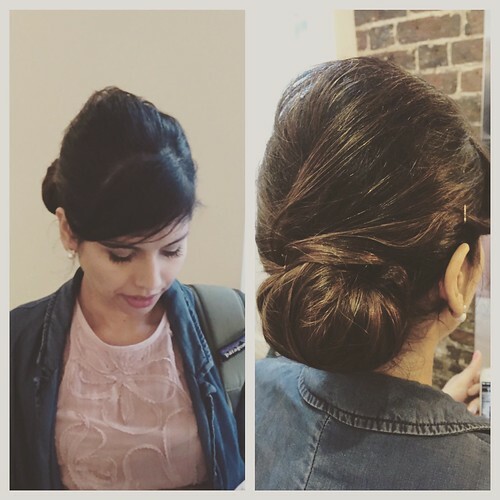 We wanted to add some hight with a beautiful chignon in the back. If you want to book a trial for your wedding hair please get in contact for availability and price list.